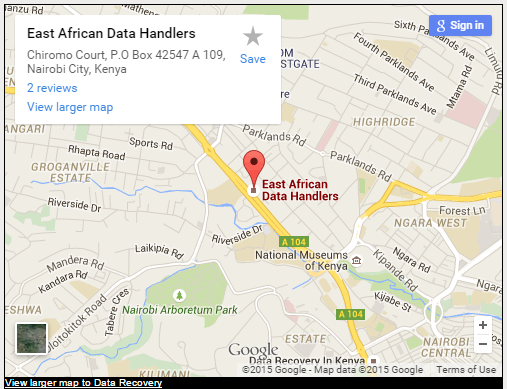 Did you know that at East Africa Data Handlers Ltd we can recover data that is inside a tape can be done very fast and immediately? Talk of tape data lost due to overwritten tape media, backup failures, have physical tape damage or even software problems we have got what it takes to recover the data. As part of our normal evaluation process at East Africa Data Handlers Ltd, we offer you a diagnostic process report of your recoverable data which allows you to make an informed decision before paying for the tape recovery service. Once you authorized, the process of tape data recovery commences. The Process: We carry out the recovery process in a dust free environment. Our engineers carefully dismount, examine and process the Tapes and tape drives For any physical media damage we apply the best and most appropriate tool that can recover your tape data successfully even the damaged areas. What to do when experiencing Tape file Data Loss. Do not attempt to recover tape file data on your own, or taking it to an inexperienced data recovery provider, this may lead to further damage of the device. Bring the tape file to East Africa Data Handlers Ltd our engineers will recover your Tape File Data .We have over 10 years experience data recovery ( tape data recovery ).